The Yankees headed into tonight’s game looking to bounce back from a tough 4-1 loss to the White Sox on Tuesday night. They responded by winning 9-1 to take the series against the White Sox. The Yankees won this game easily with huge hits from Aaron Judge, Chase Headley, and Starlin Castro. The Yankees end their nine-game home stand 9-1 heading into the weekend. 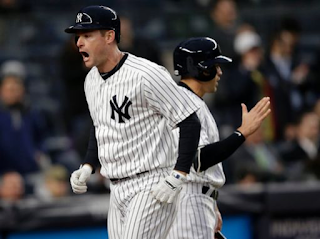 The Yankees started off hot with Brett Gardner hitting a leadoff double and advancing to third base on an E8. The next batter Chase Headley drove in Gardner by hitting a home run to give the Yankees an early lead. The Bombers didn’t stop in the second inning. Aaron Judge started off the inning with an opposite field single. After Judge, Greg Bird fired a double to deep left field to move Judge to third base. The parade didn’t stop there as Austin Romine hit a single to drive in Judge to extend the Yankee lead to three. Later that inning, Ronald Torreyes drove in his team leading 11th run to make it 4-0 Yankees. In the top of the fourth, José Abreu tallied an RBI double, his second double of the game and cut the Yankees lead to three runs. That would be the only run support Dylan Covey and the White Sox would get. The Yankees biggest inning would be the bottom of the fifth. Jacoby Ellsbury and Matt Holliday contributed two-out singles that brought up Starlin Castro. Castro belted a three-run home run to give the Yankees a 8-1 lead. 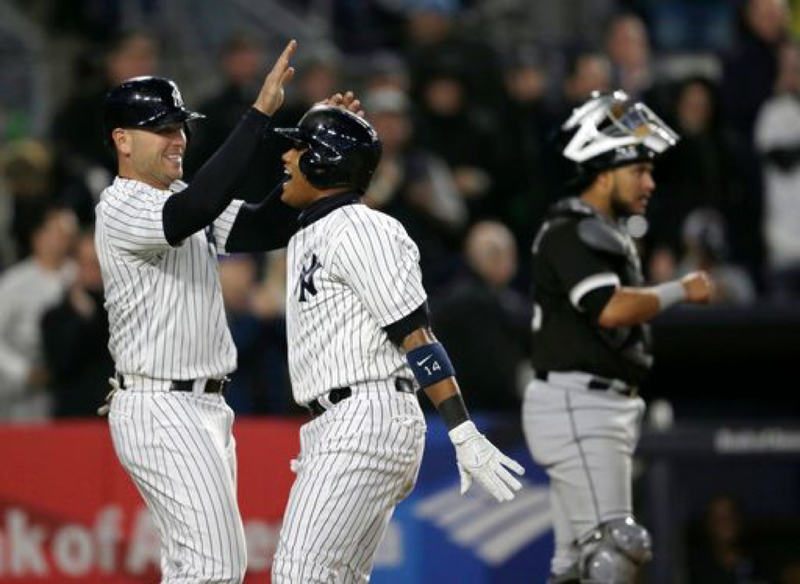 As if the White Sox’s night could get any worse, the Yankees hit back-to-back jacks as Aaron Judge followed Castro by slugging a breaking ball to left field at a career high 448 feet long. Aaron Hicks came in to pinch-hit and hit a solo home run to extend the lead to 9-1. Winning pitcher: Masahiro Tanaka (2-1, 6.00 ERA): 7.0 IP, 6 H, 1 R, 2 BB, 6 K.